I have got a funny feeling that the next thing on AMEX’ cost cutting agenda will be significant changes to the transfer rates of MR points into Airline miles etc. Agreed. I may just transfer some over today…. Really, not clever. Ten times more likely that BA devalues than Amex. That would seriously test their worth to long term spenders. Interesting to hear Rob’s thoughts on this. He said yesterday he’d never seen a devaluation. Did they give any notice before doing this? On the website, the changes for Amex gold sign up bonus and £3k over 3 months have changed but not the referral bonus. They had notice though. They also doubled most of the accounts so you had the value you had originally. And – would a change like that affect existing cards (eg we are halfway towards our 15k target) or only new customers? Amex site still shows the Gold 10k bonus for £15k spend however. it is still there, not sure why Boris said that – maybe because it isn’t in the blurb for new customers? It is definitively there: https://www.americanexpress.com/uk/credit-cards/gold-credit-card/ in the section REWARD YOURSELF. Nothing has changed, and this would require 30 days notice anyway (and the FCA would not be happy if you were not allowed to keep earning in your current year). ‘Current year’ would be ok, but I would not make the target within 30 days! I can’t see the point in even retaining any Amex now once my next 2-4-1 is triggered. Collecting enough Avios for redemptions had already got pretty much beyond reach with the last changes. Now it seems it definitely is. 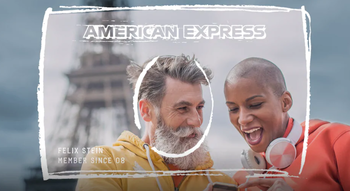 I get that Amex probably don’t make a lot of money from me, but they charge merchants more than Visa/MC do in order to pay for it. If there’s no advantage there’s no reason to charge more – is this their strategy? To be able to reduce costs in order to cut merchants fees and thus encourage more merchants to take it? 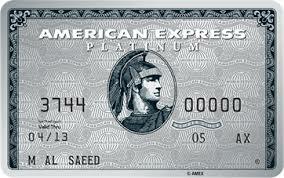 The downside would be there is now little reason for people to get Amex over the other CCs, unless you go Platinum. As for me, I might start looking into other rewards cards – I’ve always largely ignored them before. Unless they start enforcing the ‘pay with the earning card’ condition. I think this is inevitable unless they go the opposite way and relax it and make any amex official policy. Paying with it would be one thing but holding onto a £195 card you no longer wanted to cover any future changes to the reservation would be too much to stomach. I’d hope that downgrading it to the free one would count still… I’m due to trigger it in the next 3 or 4 weeks (been hovering the spend just short as I have no immediate use for it), and will probably not actually make a booking for another year. Wasn’t planning on paying out £195 – potentially twice – in order to make the booking! Cross card referrals definitely gone, had old links saved and they now allow only same card referral regardless of browser being used. They are same family so it might be back to that or msy just be the latest disappearing act as Peter says. I see very similar, I only have a BA Premium at the moment and can refer for that or the BA standard card. I think the function to refer for other cards has come and gone in the past, usually mixed in with juggling web browsers to make it work. I think this time might be it as it has come with all these other changes. Although they’ve come and gone before, so don’t think we can say for certain until a week or so has passed? Most of us waiting to sign up for the business card had to cancel our current cards at the time and are still waiting for 6 months to lapse. Who knows if the goal posts will move again before that times up! No change. Corporate cards have no fee caps, remember. I thought AMEX own brand cardsa had no fee cap either? Correct. But the fees are usually higher on corporate cards. Hmm. I don’t know about bad news coming in threes but I suddenly feel a very strong urge to transfer out a large number of MR points. I guess you should, you don’t want to regret it later ! With most providers I think transfer rate changes have been given some notice, however this is Amex?! That would not be wise, in general. I totally accept that the value of MR points is in their flexibility. However isn’t it reasonable to assume that they might now devalue the transfer ratios? If they did would it be overnight effective immediately or would we have notice to transfer at the current rate? No, because messing with MR means messing with the reward proposition on every card which issues MR points, which is a lot of them. Far easier just to change the earning rate on any particular card. It might happen, it has in Australia (effective Monday just gone), but you’ll get a fair amount of notice (we got about six months). I wouldn’t transfer speculatively now. I can live with most of these changes but it would have been nice to get a little warning. the whole purpose of changes like this is to…effect change to a business model because you think it’s a smart move – why give people more wiggle room than necessary? To be honest I thought the cap would drop to 60k and specifically went back to Amex for clarification it would remain at 90k. It’s annoying that the 18k has reduced to 12k, but until any further negative changes are made to the platinum I will hold it. I already have travel insurance through HSBC current account, though I have no idea how it compares, and became diamond with Hilton through a match and likely to retain it in the second year based on current patronage. Don’t use other hotel chains. Rarely hire cars. Only use lounges two or three times per year, albeit three/four people at once. The referrals and cashback are looking like the main factors for me retaining it, and if these get whittled down any further it could be the breaking point for me. If I do ditch it, I would end up applying again at some point if I can’t keep at least gold with Hilton through stays/nights. If they would just increase the earning rate for spend, say 2 MR per £ flat rate – but not water it down any further in other respects – I would stick to it for life and use it exclusively except for a back-up mastercard… This really annoys me, as they will give out a real 1.25% cashback on their £25 fee card, but only 1 MR on a £450 fee card which costs them what…0.5p average? Precisely because high spenders are on Platinum and 2 MR points will lead to disproportional payouts. Too expensive for AMEX en masse. 12k is still a good amount of points for referrals. As most things, all good things come to end. Just debating whether to close off partners Amex and transfer miles to BA or downgrade to Amex rewards to keep the MR Currency? Just wondering what is the next trick/devaluation might be? MR is 0.5 Avios? 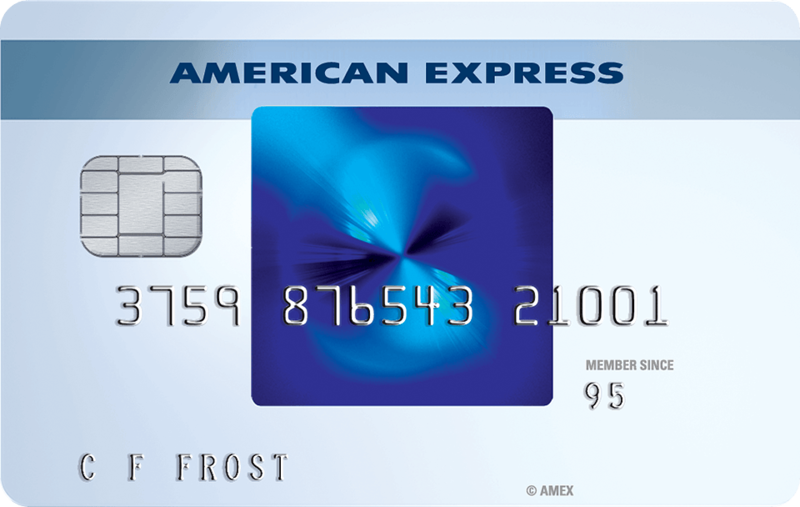 wouldn’t Amex have to give 30 days’ notice of that sort of change? No idea, at least you get 30 days to use/move your points if you do close your card. With their current mood and changes, guessing anything is possible. Your contract doesn’t specify a MR points -> airline partner calculation at all. Its all been pretty much said but to summarise as I see it…. The referral bonuses are legitimate incentives given as a one off thank you from AmEx for increasing their cardholder base. The subsequent churning of cards is not in the spirit of the rules. The promoting of such loopholes has seemingly promoted an exaggerated backlash from AmEx of global reductions in incentives. However, I think that this will be only whilst they take stock of UK competition and how to disincentivise churning. I would not be surprised to see it settle as the return of the original first time bonuses and ongoing referral bonuses but nothing ever again. Why should you get a second bonus every 6 months or 2 years or even 5 years….? The encouragement of people to do this on a mass scale with an on line readership of (apparently) thousands of HfP readers and other sites of course, has resulted in the end of this unintentional benefit, and for now, worse. The issue with Curve too may well have something to do with inadvertently “promoting” irresponsible spending although there are so many intermediate steps and agencies in this process, it is hard to determine. Will I keep my AmEx? Yes, despite the annual fee as the other benefits are worthwhile. We also seem to manage high status with BA as do others with bookings which in turn generate more difficult to use Avios. The AmEx points have traditionally been swapped to the VS account every few years to fund UC seats for us to the US. Another long-winded contribution but lets see how it all pans out. Churning is over thank goodness! Mrs Yorkieflyer may be mulling over how much longer to keep the Plat card. Just, thankfully earned two referrals but looking to the year ahead. Travel insurance no value due to pre existing conditions, now have annual world wide Nationwide flex cover. Hotel status minimal apart from Hilton Gold. Car hire insurance, some value. Priority pass is last remaining significant benefit. Fearing for the day Amex will change the transfer rate to airlines without prior notice. Is it a sensible idea to transfer my current MR points to Marriot Bonvoy? I don’t have any particular use for them at the moment and I don’t want them to devalue. I have enough avios for upcoming flights. Where are the ones that persuade you to stay?